Wow! 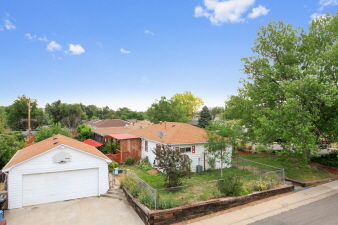 Super cute home on large corner lot w/ large detached 2 car garage. Yard is like a private retreat. Covered deck, extended patio & landscape lighting is awesome for those summer nights.. Large garden area out front. Home is nicely updated with granite counters, nice tile in the kitchen and bath, and gorgeous hardwoods. Bathroom has been updated as well and features custom tile in the shower/tub. Space is used very well. Hurry this one won't last!! !